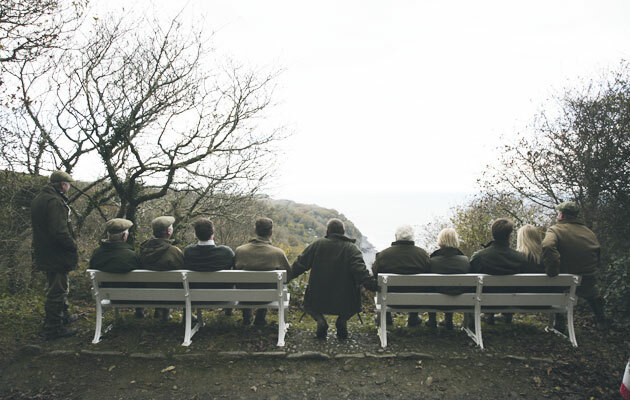 The Clovelly Shoot is 2,000 acres of land by the sea able to show challenging pheasant from all four corners of its famed topography. I hate to use this word but it was a ‘unique’ start to the shoot day, in that I left the modern confines of my room at the Red Lion Hotel in full shooting attire only to be pinned back by the shock of watching the groaning green and white sea pushing its way towards my door, the hissing waves exploding with a fizz and a crack on the pebble beach below my feet before retreating. I had arrived the previous evening feeling a little like Jonathan Harker in Transylvania, my belongings clutched to my flapping coat in the windy darkness, the light from a lone streetlamp shaking violently at the bottom of a cobbled lane guiding towards my billet on the harbour. But what a change the sunshine brings. Come daylight I was now able to appreciate the tight wooded coastline of Clovelly Bay at high tide as its cliff faces deflected the clutching swell of the Atlantic Ocean charging headlong into the Bristol Channel. Guns who had either stayed overnight at the Red Lion or negotiated the steep, snaking road through the woods down to the harbour in the morning had begun to congregate at its front entrance. One jokingly screwed his shooting cap onto his head, another attempted to see how far he could walk towards the wild waves before nerves got the better of him. It was at this moment I caught the attention of Charles Goucher, a game farmer and RAC graduate who took on the lease at Clovelly seven years previously. The cold wind was blowing words back into people’s mouths as they tried to say their hellos but we were all soon in the dry (and audible) confines of the Red Lion’s snug bar to draw pegs, sink coffee, press palms and get used to the smell of sea salt in our nostrils. Clovelly shoot captain Charles Goucher. 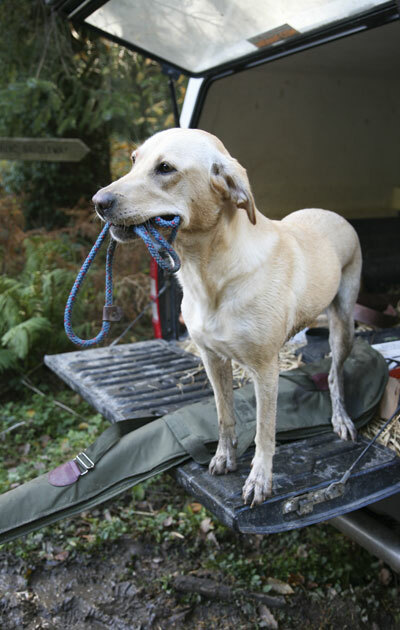 Charles was already running the noted Minal shoot near Malborough in Wiltshire before taking Clovelly on in 2007. He went into his new venture almost blind, having virtually no knowledge of the shoot even after signing the contract. “I didn’t even know which gateways to go through,” he joked as we drove through the woods towards the day’s opening drive, Gardens. It was a tough opener, and perhaps the perfect metaphor for Charles’s first few seasons at Clovelly. Only now is the shoot getting to where he wants it to be, and the gradual success has come at the expense of quality sleep and under the cloud of the recession which hit at the end of their first season. With the pressures the economic downturn brought Charles came to the decision that less would ultimately be more. 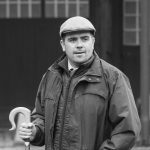 After two years of running Minal, Clovelly (which are three hours and 163 miles apart) and a game farm in Devon, Charles, who lives in the nearby village of Dolton, chose to devote his energies to business closer to home. 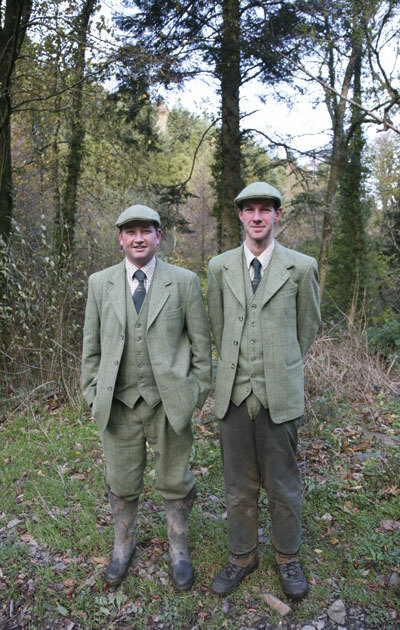 The marketing of the shoot is a family effort; the website, built by Charles’s son Luke and managed by his wife Gillian, is the source of bookings not taken via word of mouth. Clovelly headkeeper James Dickson (left) with beatkeeper Simon Higgs. Georgina was keen to be put to good use as soon as possible. So how does this relationship manifest itself on shoot day and how is it helping the shoot to grow? As someone who loves watching people shoot, it’s important for Charles to be in “captain mode” from the moment he arrives at the shoot following the 40-minute drive from home. His day will start at 6am and a meeting with James and Simon will have taken place before many guns have even risen. 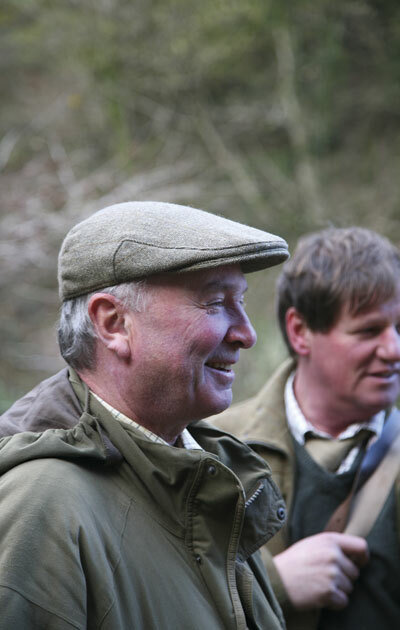 There are some 50-odd days taken each season across the shoot’s two beats – the inland Hobby Hill and coastal Mouth Mill – and after each day data about the team’s performance, from cartridge to kill ratios to drives shot, is catalogued in preparation for their next visit. Alistair Dickson, who had taken the day’s shooting. Teams can take their pick from bags of between 200-500, and while a shot count is written into each contract, given that he prefers drives to go on for as long as possible on those larger days, Charles is not adverse to granting requests for drives to be extended – sometimes by up to 30 minutes – when teams find they are really starting to enjoy themselves. 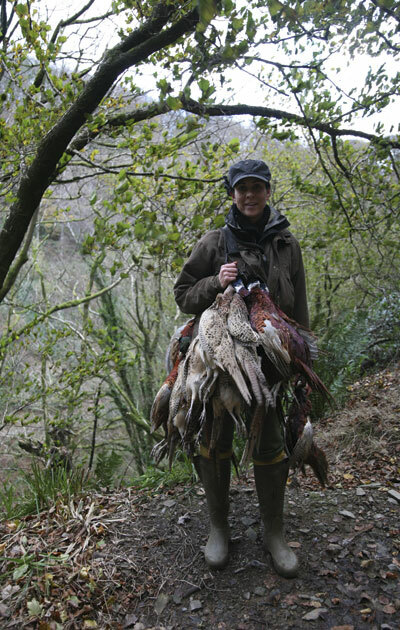 Keen on bringing new blood into shooting and making Clovelly as accessible as possible, he is also able to show his birds to those with shallower resources through a series of smaller bag days – around 150 head – during the season. Guns take in Clovelly Bay at White Seats during lunch. Being able to alter the flight of the birds to bring everyone into the action isn’t something that just happens on the day of course. Over the course of the summer, while guns are sunning themselves, watching the cricket or thinking about that pre-season sharpener, Charles and the team are already conditioning their birds to fly between woods and pens – “even the nine-week-old birds are getting used to flying on set wings before the start of the season,” said Charles. Martin Shute pulls the trigger on London Lodge. While the pressure is on to produce “classic Devon sport” Charles is confident his approach will deliver time and again. 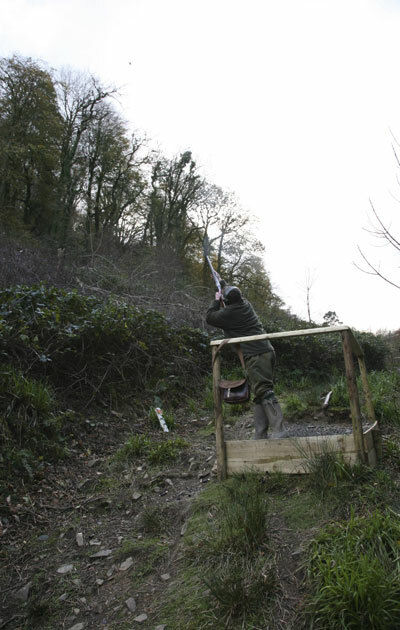 “Our deep valleys, woodland and the tricks played by the coastal winds mean even our lowest birds at Clovelly are higher than those you’ll find in, say, eastern counties,” explained Charles, citing examples elsewhere where birds billed as “extreme” are simply unhittable and guns don’t know they’ve connected until the pickers-up come past laden with birds. Here at Clovelly though, there was always something in each drive a gun could hit and see fold in the air, even if they might have had to be have been more flexible than they thought as stock went to cheek. 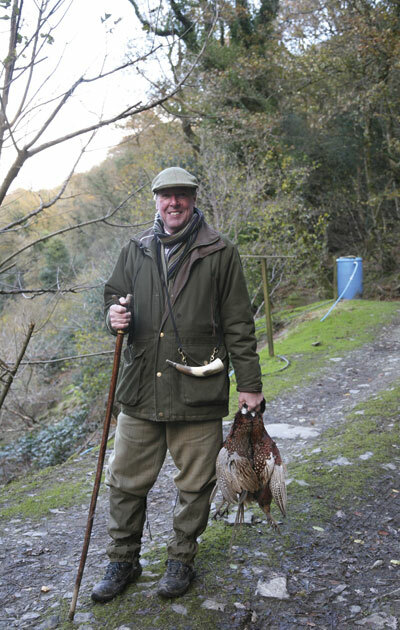 Clovelly is apparently at its best when the weather is damp and still, and Charles is proud that regardless of the weather the quality of his birds is what is getting guns talking. The party shooting on the day of my visit were brought together by James’ father Alistair, and even while the wind played havoc with their swing the number of birds being brought back by the pickers-up showed they could be hit by those who know what they are doing. Head picker-up Sarah Garrigan laden with some of the spoils from the day’s final drive. How many shoots can say that?